As it was raining, we drove north to try to get above the lines of storms sweeping in from the west and to find cooler, less humid weather. 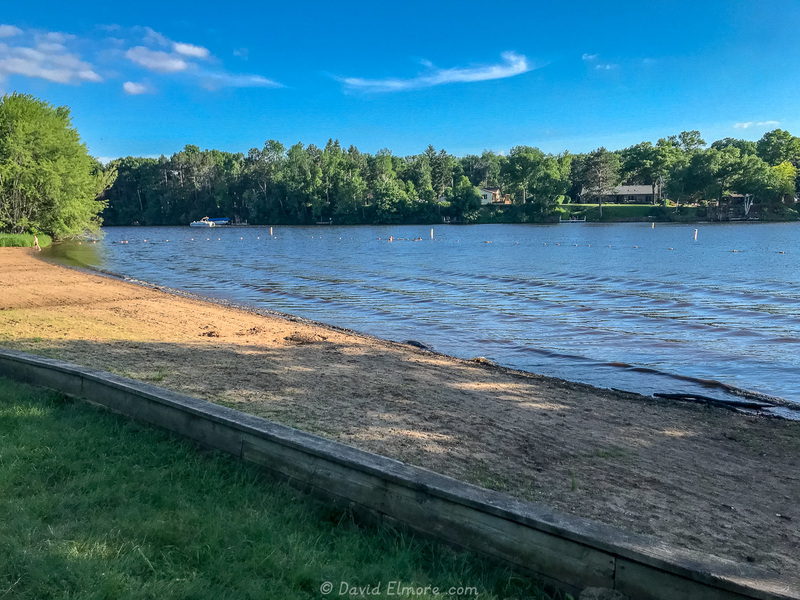 By the time we reached Lake Wissota SP in Wisconsin, the sun was out, the air was dry, and a gentle breeze kept us bug free. We decided to spend four nights here. 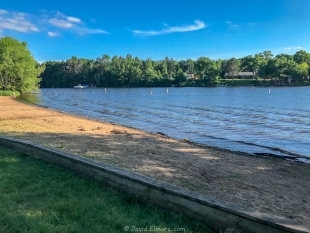 The campground has very large, private sites. All sites have a picnic table and a fire ring. The camping loops nearest the lake have few electric sites, but there are plenty on the outer loop. This place fills up on the weekends, so reservations are a must for longer stays. We took a two-mile round trip walk to the beach before dinner. The paths are well-maintained. We plan to explore others in the next few days.